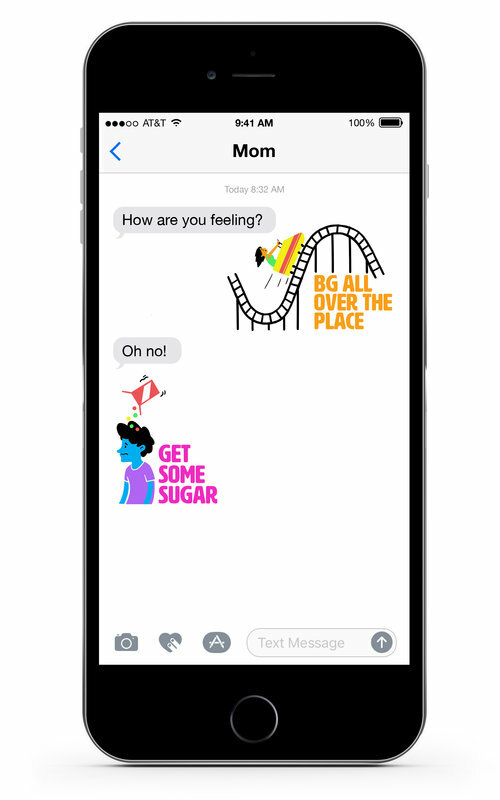 In the spirit of advocating for families living with type 1 diabetes, Sanofi US contacted me and asked if I would be willing to share our traditions on Halloween. Ofcourse!!!!! Sign me right up! 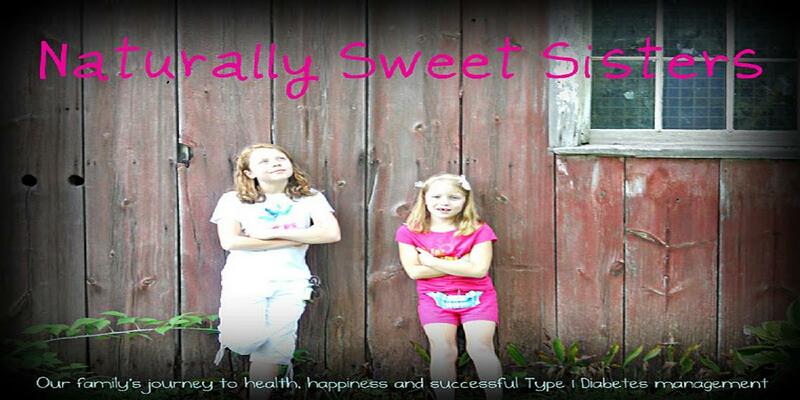 Naturally Sweet Sisters (NSS) is written entirely to show support and to encourage children and adults living with type 1 diabetes. After our fun telephone talk, which by the way had me grinning from ear to ear - the Sanofi staff is awesome!!! -, the following article was drafted to help normalize holidays, specifically Halloween, while living with type 1 diabetes. Anyone who knows NSS understands that we truly live by the motto; Kids First, Diabetes Second. Halloween is just one more way to create some truly kid (and family) oriented memories. Yes, even with a big bag of carbs. You CAN do this! Thank you to Sanofi US for encouraging families not to give up on their own Halloween traditions. The leaves have changed colors, the weather has gotten cooler and the wind has become a spooky howl. Yes, Halloween is upon us! While many families worry about the amount of sugar their kids will bring home in their trick-or-treat bags, parents of children with diabetes have additional challenges this time of year. Today, Amy Ohmer of Naturally Sweet Sisters shares the ways she and her family, which includes two daughters living with type 1 diabetes, celebrate Halloween to the fullest. When Amy’s youngest daughter was diagnosed with diabetes in December of 2006, she had to relearn how to do everything for her daughter, including how to celebrate holidays like Halloween. Amy had to be creative in celebrating Halloween that first year. At that point, her oldest daughter had not yet been diagnosed with type 1, so she had to find ways to celebrate Halloween to accommodate the needs of both children. Her solution was to create a “store” in their house post trick-or-treating where both girls would turn over different amounts of candy for different prizes. When the store worked out well, Amy realized that Halloween wasn’t all about the candy for the kids; it was about the celebration. 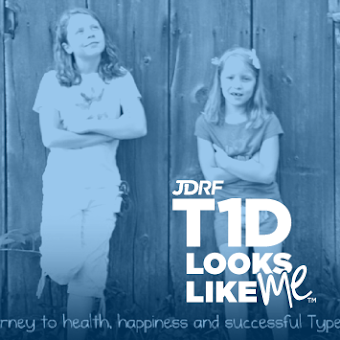 Then, in 2009, her oldest daughter was diagnosed with type 1 diabetes. Although it was still challenging, Amy felt much more prepared. She said the family’s holiday celebrations have evolved as the girls have gotten older and the family has learned more about diabetes in the process. Although Halloween tends to revolve around candy, Amy’s family has another holiday snack they enjoy—pumpkin seeds! She said she started making them a lot after her daughters’ diagnoses because seeds are low in carbs, easy to make and there are a variety of flavors to make with them. I’m impressed with Amy’s creative ideas and those pumpkin seeds sound delicious! A big thanks to Amy for sharing her family’s philosophy. I wish you all a very happy Halloween! Disclosure: Amy Ohmer received no compensation for this post. All opinions contained in this post reflect those of the interviewee, and not of Sanofi US, its employees, agencies or affiliates. Something that takes a lot of time and whole lot of patience. And no, not studying. Yes, downloading. Not the kind of old-school "downloading" (did we even use that term back then?????) that requires memorization and books. Instead, the modern day download of tiny microprocessors cleverly disguised as medical equipment. A whole lot of downloading from two DexComs and two Animas Ping insulin pumps. I am not sure what your thoughts are about the "dongle" that reads the Ping but I think it makes even the calmest people a little crazy. It takes hours and several reboots. And why is it that the DexCom seems to take years to load data? So if any pump/CGM manufacturers out there want a little (bleeping) advice.... please start using 4G because my simple little cellphone is a million times faster than either of these! Here is a repost from Saturday, October 22, 2011 - Hope you enjoy! Well, for the kids maybe. For the parents suffering from Halloween over-load, I get it. I feel it too. The one-day-a-year holiday has now morphed into weeks of festivities. Everyone wants to be able to provide a young child with a magical memory to last a lifetime. Yesterday, as we walked out of my younger daughter's school, I noticed my daughter wasn't acting in her "so-glad-school-is-over-what-is-for-dinner-can-I-play" typical manner. Instead, her face looked sadly tired, her arms were crossed in an attempt to protect herself from the world and she seemed to be holding back a few tears. I stopped walking on the sidewalk and gently took off her backpack and asked if she had a good day or bad kind of day. A couple of hot tears rolled down her flushed cheeks. She looked at me with an accusing frown and said, "Why do you make me wear this?" She pointed to her CGM sensor which was clearly visible on her arm below the sleeve of her brightly orange colored Halloween inspired t-shirt. I look to where she is pointing and at first glance, all I see with my mommy-colored glasses is a beautiful, well defined bicep muscle, formed from hours of playground monkey business poking out of her short sleeves. She points her finger dramatically to get my attention and I then notice she is clearly pointing to one small, gray DexCom sensor. "This!" She is now shouting to release the pent-up emotions from the school day. "Everybody asked me what this is. They wouldn't stop. One girl told me it was weird. I told her to shut-up. I told her to it was nothing and to mind her own business but she wouldn't stop. She just asking and pointing. She was so mean." Now the tears are streaming down her face and she rams her head into my belly for hugs and comforting. As I gently pat her back, I am acutely aware of curious parents and teachers who are also walking through the parking lot and witnessing the scene. For a moment, I wonder what they are thinking. Do they think my child is acting out or misbehaving and as a result, that I am somehow punishing her? Don't they realize what their own kids are saying at school? Do they condone this behavior and why aren't they stopping it? Who are these people? But I can't dwell on these thoughts because I am holding an emotionally exhausted little girl who clearly is dealing with more than the average 4th grader. What's worse is that I don't even know what to say. Denying the existence of inappropriate children would be to minimize the pain of my child or worse, condoning their behavior. I feel trapped because I know deep down that not one person in our school building (teachers, counselors, principal) would have the empathy or the knowledge to deal with the burdens that type 1 diabetes brings to our family. Unless they live it, they will never understand the heaviness of living with t1d day in and day out. The burden of type 1 diabetes while physically difficult is also emotionally isolating to all of us and especially, to my little girl. I know people remark on the curiosities of the world. Children especially, question anything outside of their own knowledge of normal. Adults tend to have more tact but clearly, at this exact moment of comfort, we are both standing in the middle of the fish bowl. This isn't our normal to stop, cry and comfort in the parking lot. People are going to stare. I can only imagine that happening all day long for a 9-year old with a CGM site on her arm, especially when that is not their normal. My heart breaks for her. The technology used to keep her alive is also the technology that quite often attempts to kill her spirit and self confidence. I tell her the first thing that pops into my head which is this, "You did have a tough day. I am sorry that you had to deal with that and it isn't nice." I pause, wipe her face and hold her eyes with my own stare..... "And tomorrow, if she asks again, you don't have to answer her but if you do, be sure to look her right in the eye and say this helps me feel good. If you don't understand that, than maybe you better go talk to teacher because I have already explained it to you." I take my daughter's hand and I see that she is listening attentively, waiting for the wisdom only a mother can speak. "One day you are going to make a choice to have a career. You may not know this now but experiences like this, will give you the understanding of how to help other children, and maybe grown-ups too. You can take all of these feelings, remember them and then one day, you will be able to show the world how to be kinder and more caring to everyone else. There is only one YOU and you are AMAZING." I tell her one last thing. "My darling girl, diabetes does not define you. You are so much more than a CGM site and anyone who can't see past that is a fool. Weed out the bad ones and you will be left with a group of the best friends anyone could imagine. In a way, we are lucky that diabetes does that for us. You have a built in meter right here." I point at her CGM site, pretending to wiggle my finger like a lever. "When someone asks too many questions or says something that isn't nice, this little CGM is going to detect that for you. You just drop them like a bad nut." ﻿ My reference to the modern day Willy Wonka movie gets through to her. I can see her thinking of the Verukas of the world and know that she is placing that girl from today into Veruka's shoes as a "bad nut". We look at each for a long moment and then I see a faint smile and she asks me, "What is for dinner? Can I play?" For the moment, she is going to be OK.
Have you ever open a vial of test strips only to magically experience your own 'can of worms'? You know, the kind of blood glucose meter vial that magically spews test strips in all directions the moment the lid flips open. That you still find yourself waking up with multiple test strips stuck to your pajamas? Seriously, how does that happen? Often I am asked how closely the DexCom matches the meter and luckily, I am able to reply that it is within two or three points of what is shown. There are a few exceptions such as eating a big meal or jumping into the shower (the hot water effect) but for most of the day, this little Dexie is quite remarkable. Yesterday, we had a missed bolus. Instead of waiting until the signs were unmistakable, our daughter was able to feel the vibration of the DexCom and alerted to the double arrow rise. She added the bolus insulin back in, correcting the high and went about her merry way. Except this is state exam week - a very big deal - and she would have been stuck in a room testing for hours, with a high bg and feeling crappy from ketones. I don't like to think of what her scores would have looked like. ﻿Thankfully, none of that happened. So add this to the list of reasons of why a CGM Continuous Glucose Monitor might work for you. I am sure the list will continue to grow. Feel free to post your most beloved reasons for having a CGM and if you have played the matching game between the CGM and the blood sugar meter. How close are you? Captured during a moment of investigating the new DexCom Platinum 4! No, this isn't even on at the moment, those are just major scuff marks. We knew it was time for a little bit of refurbishing. Or as my daughter said, "It is time for a new windshield for my pump, Mom." a Lens Protection Film Kit for Animas One Touch Ping Insulin Pumps. At a mere $9.95 for a package of three, I could give a face-lift to both of the girl's insulin pumps in one order. It also felt good to know that I would have an extra just in case of application errors. Hey, it happens! Inside the package (sent UPS ground for $5.00) were three plastic screen protectors, a rubber mat and one bottle of spray cleaner. Carefully following the enclosed directions, we peeled the older screen protector off, and wiped down the pump face. Spraying our hands and the pump, we slowly applied the new screen, using the rubber mat to press out any remaining air bubbles. to this shiny little beauty! Did you notice her nails match the pump? Now, if only we could find matching paint for a few extra dings.... um, and for my car too. Notice the brownish smudge? Anyone have that before? Looks like we need new CGMs. Last night, in an effort to troubleshoot the week ahead, we decided to dust off our DexCom Seven CGMs and do a quick insertion and calibration. By quick, I mean a battery charge for two hours, then an anxiety-riddled insertion for 30 minutes and finally, a three hour calibration which brought us to midnight. Midnight and then, of course, waking back up for any buzz or beeping noise from the bedrooms. For the most part, after a few inaccurate calibrations, our Dexie and Dexter (hand picked names from youngest and oldest daughters) showed nice and consistent flat lines. The 166 is post breakfast from oldest daughter and happily,still trending flat. The 119 is wake-up from youngest daughter with no breakfast on-board and still trending flat. Mama is so happy and even thinking it is worth an entire night of no-sleep. Here is hoping for a great week of standardized test taking for both young ladies and maybe, even a nap today for me! It seems like I was just searching for babysitters. For years, it was a task all by itself to find and train appropriate caregivers that would be able to not only watch and entertain my children, but also able to keep them safe. As both of my daughters live with type 1 diabetes, this was no easy task. I had to find someone who wasn't afraid of diabetes stereotypes, including needles, could handle basic math for carb counting and had a calm and level headed personality. Boy, was that a tall order! We did find a few wonderful young ladies who were able to fit the role but each went off to college, one even pursuing a degree in nursing. It seemed like our search was never-ending. Last night, our sweet little girl (now a sweet sixth-grader) took her first American Red Cross Baby-Sitter's class. Clearly, we have come full circle. No longer will I have the need to search for babysitters, instead, I have raised my own. Date night just became a whole lot more exciting! What is interesting, is that within the Babysitter's Training Manual is a short description of how to handle a "Diabetic Emergency." My daughter happily pointed that section out to me and agreed, that everyone should know what diabetes means and how to handle it should a child require immediate assistance. And then with a smile she said, "I'm already ahead of the game Mom, because I know exactly what to do." Special thanks goes to the American Red Cross for making a difference in teaching basic diabetes awareness to a brand new group of babysitters. Naturally Sweet Sisters applauds your efforts!